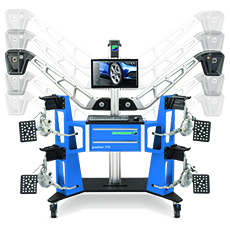 The geoliner® 770’s advanced XD cameras and sophisticated monitoring algorithms find errors as they’re made, detecting problems with suspension stress and damage, rack, clamps, environment, and more - notifying users only when necessary to save time and ensure accuracy on every alignment. shop and can be moved around easily whenever required. 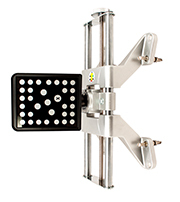 * Low-profile design lowers the center of gravity from improved stability when moving. 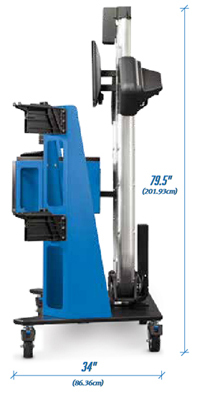 The geoliner™ 770's lightweight three-camera system folds to a compact size with a low center of gravity, meaning it takes up less floor space in the shop and can be moved around easily whenever required. Integrated wireless connectivity provides a seamless connection between the aligner and the viewing device - so no matter how challenging the alignment, your team always comes out on top.